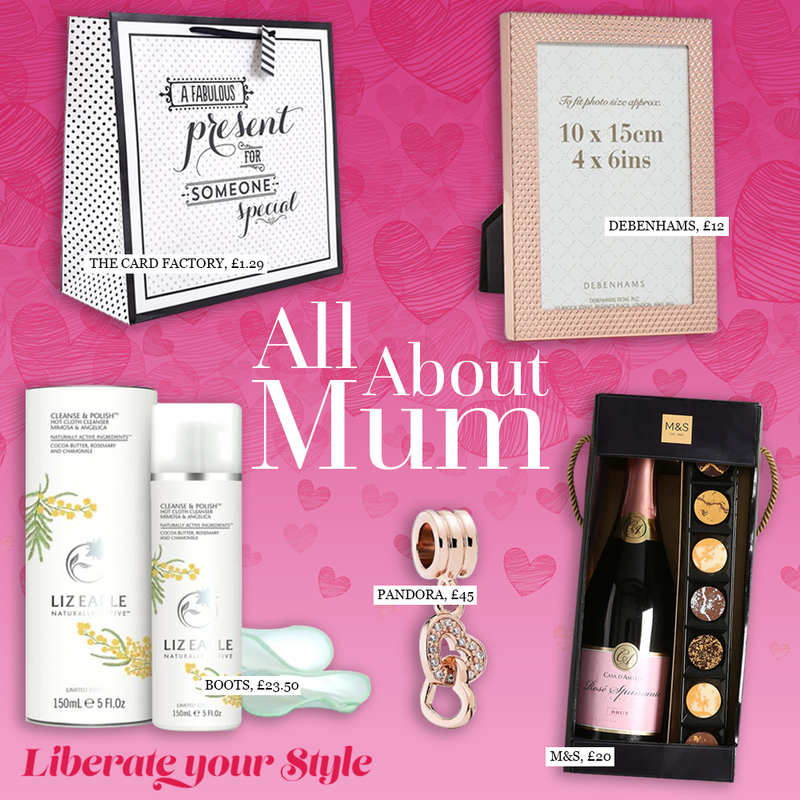 Life can be pretty hectic being a Mum, so it’s likely that they’ll relish any opportunity for some pamper time. We recommend the Liz Earle Brighter Glow Duo for just £25 from Boots. Not only will this help encourage beautiful, glowing skin, it also helps to replenish and refresh. This heavenly scented set also comes with two Pure Cotton Cloths. They say a picture is worth a thousand words, so what better way to show mum how much you love her by capturing a special moment and placing it in this chic Copper Textured Photo Frame from Debenhams? At £12 for a 4”x6” frame and £14 for a 5”x7” frame, this is a thoughtful gift and would sit perfectly on a bedside table or even on a mantle piece. Wine and chocolates. need we say much more? It’s a classic and always goes down a treat – quite literally! M&S have a beautifully presented Pink Sparkling Wine & Chocolates Gift Set for £20. All that’s left to do is to tell Mum to put her feet up, sit back and enjoy! Nothing says ‘I Love You’ quite like jewellery. This rose gold Interlocked Hearts Pendant Charm from Pandora for £45 will sit elegantly on a necklace or even on a bracelet. Finished with Cubic Zirconia stones, this charm oozes elegance and glamour; that any mum deserves. Try pairing this with a rose gold ring or earrings for a complete look. There’s nothing like presenting a gift in style. Luckily, The Card Factory here at The Liberty is on hand. It can be tricky wrapping an unusual-shaped object, that’s why these gift bags are our saviours. The design is finished with ‘A fabulous present for someone special’ which pretty much says it all!